One of the most secret religious travel spots in Himachal, Trilokinath Cave Temple is around 41 km from Dharmasala. 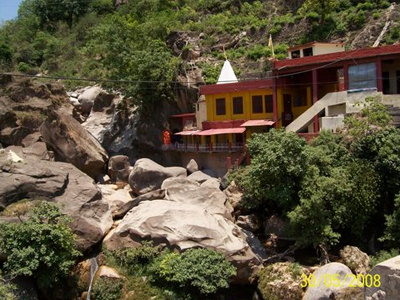 A natural cave temple enclosing the seat of Lord Shiva, the temple is an ideal place to seek the blessings of divine. A stalagmite Shiva lingam is installed in the cave. Upwards on the ridge of the cave there are ruins of a palace and baradari of Lehna Singh Majitha who was the governor of Kangra hills during the Sikh rule. 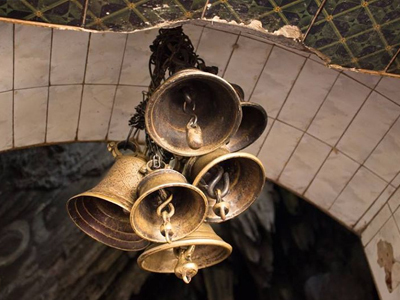 History It is believed that the cave temple was once adorned with gold. Lord Shiva used to meditate at the same place where the Lingam of Shiva is installed today. It is Lord Shiva who transformed gold coverings in to rock when a shepherd tried to steal gold from the cave. Rock formations can be seen hanging from the roof as well as appearing on the floor.